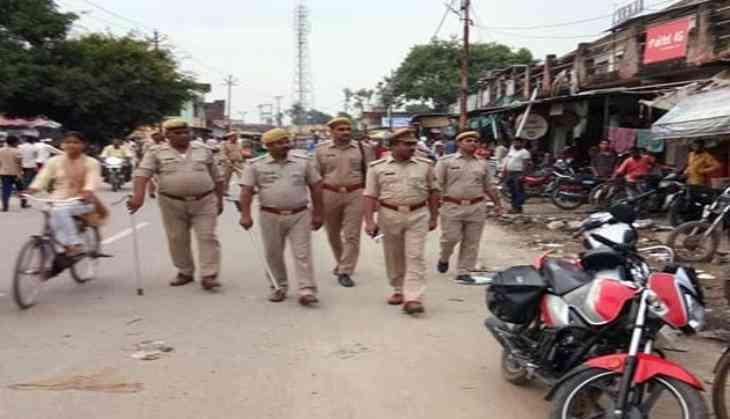 Six men were arrested from Chambal area of Madhya Pradesh for allegedly kidnapping a truck driver and looting the vehicle in east Delhi's Akshardham area, police said Tuesday. The accused were identified as Sanjay alias Sonu (25), Mohan (23), Vipin (27), Dilip Saw (50), Rajesh (28), Lokesh (28), and they are suspected to be members of a gang of highway dacoits, they said. On the intervening night of December 27 and December 28 last year, when the truck driver, Vipin Kumar, was driving with cartons of pan masala, two persons dressed as policemen stopped him near Akshardham Flyover, a senior police officer said. As he got off the truck, they overpowered and kidnapped him while the other members of the gang fled with the truck. They, later abandoned the driver near Timarpur, he said. A case was registered at Mayur Vihar police station and an investigation was taken up, he added. The victim told police that a GPS tracker was installed in the truck. When police analysed the movement of the truck, they found that it had stopped for a considerable time near Siraspur in Outer North District, the officer said. Police said they identified the spot where the items were unloaded and CCTV footage revealed that the stolen items were transported to several other places using local transporters of Siraspur. During investigation, the kingpins of the gang were revealed to be Sonu and Mahesh alias Monu who were brothers. In spite of searching their hideouts in Sirsapur, Sonia Vihar and Tronica city police could not locate them. Meanwhile one of their associates was arrested from Rohini while Amit and Rohit were arrested by Swaroop Nagar police, the officer said. Raids in Swaroop Nagar revealed that Sonu and Monu were in Chambal district of Madhya Pradesh, he said adding following the arrest of the kingpins, more cartons of pan masala Rs. 6 lakh received through sale of the stolen item were recovered.